A decorated Air Force hero of the Vietnam War was killed in an automobile accident March 24 in Winchester, Virginia. 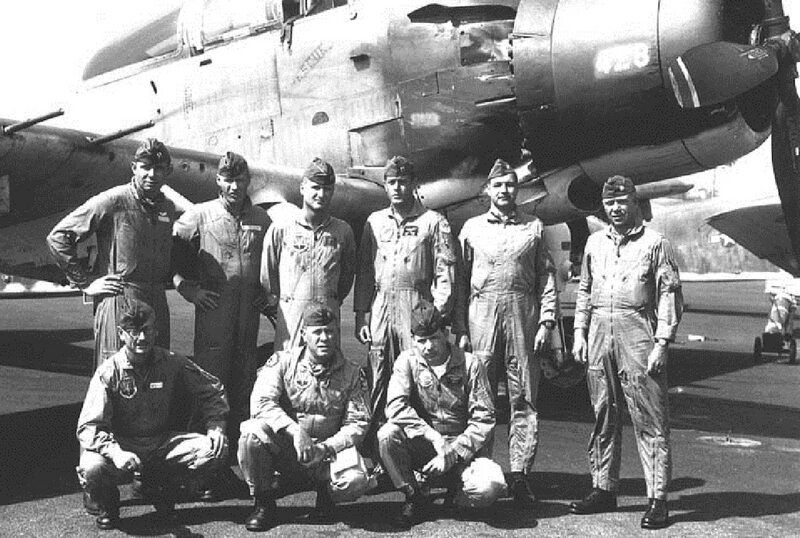 Retired Lt. Col. Jimmy Kilbourne Sr., 84, received two Silver Stars and three Distinguished Flying Crosses as an A-1E Skyraider pilot with the 602nd Fighter Squadron, later the 602nd Special Operations Squadron, in Vietnam and Thailand. His 25-year career also included service in the Korean War. Kilbourne was a passenger in a car driven by his son-in-law, Michael Mercer, when their 2001 Chevrolet Suburban was hit head-on by a Ford F-150 pickup truck that veered into their lane, according to a report in the Winchester Star. Mercer died at the scene, and Kilbourne died a short time later at a local hospital, the newspaper reported. The driver of the truck and a passenger in the Suburban, a 67-year-old woman, were taken to a local hospital for treatment of injuries. A 17-year-old male passenger was flown to Inova Fairfax Hospital in Fairfax, Virginia, for treatment. Kilbourne received his three Silver Stars and two Distinguished Flying Crosses for action with the 7th Air Force in Southeast Asia in 1967. All told, he received 24 military decorations. The award citations were unavailable at press time, but in a November 1997 interview with the late Robert Noyer, a Navy veteran, aviation enthusiast and writer in Virginia, Kilbourne said he was most proud of the Silver Star with Oak Leaf Cluster awarded for valor in leading a large-scale effort to rescue the surviving crew members of three helicopters shot down by hostile ground fire Nov. 8, 1967, on a mountainside a few miles inside Laos. The helicopters had been shot down during their attempts to extract a 12-man reconnaissance team of American and South Vietnamese soldiers that had been ambushed by a North Vietnamese Army battalion as they returned from a secret mission on the Ho Chi Minh Trail. The helicopters had fallen prey to the trap. 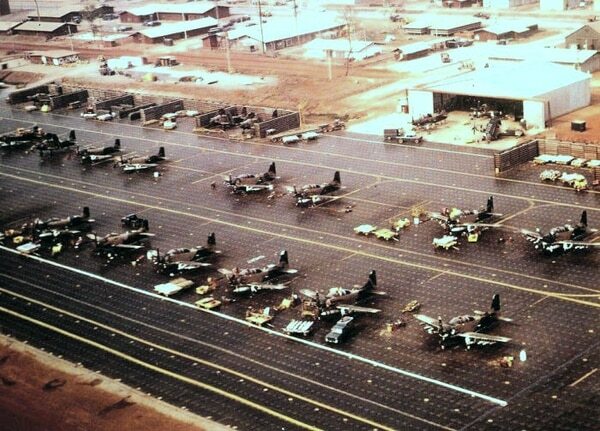 Kilbourne, call sign Sandy 07, and another A-1E Skyraider arrived on the scene at about 3:30 a.m. from their base in Thailand to direct the rescue effort. At least seven Americans and South Vietnamese were still alive. “According to Maj. Jimmy Kilbourne, the pilot of Sandy 07, the rescue team could not talk with [Air Force HH-3E “Jolly Green Giant” pilot Capt. Gerald] Young on the radio because there were three beepers broadcasting on the emergency radio frequency, making voice contact with the survivors impossible. ... The beepers blocked the voice transmissions,” Correll wrote. “The scene below was illuminated, Kilbourne said, by the three helicopters, which formed a ‘fiery triangle’ within 100 yards of each other. 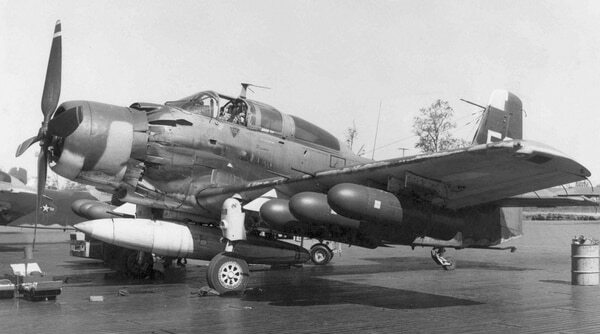 The Air Force’s legendary A-1E Skyraiders proved their mettle in the skies over Vietnam. Air Force leaders now see a similar need for a low-cost, slower-moving aircraft for missions in low-threat environments. The Sandys made about 40 passes, trolling for ground fire. Kilbourne’s first Silver Star was awarded for actions in July 1967 supporting the rescue of a downed Navy pilot just 40 miles south of Hanoi. “In this action, Maj. Kilbourne had to contend with MiGs, surface-to-air missiles, anti-aircraft batteries, and small-arms fire from ground personnel trying to capture the pilot,” Noyer wrote. His first Distinguished Flying Cross was for actions in June 1967. After retiring from the service, Kilbourne spent time writing speeches for the Air Force and later for the Federal Aviation Administration. He worked as a charter pilot before opening a one-on-one flight training school, advancing pilots to their commercial license and instrument ratings certifications. In 1973, he wrote and edited “Escape and Evasion: 17 True Stories of Downed Pilots Who Made it Back,” part of MacMillan Publishing Company’s Air Force Academy Series. It’s described on Amazon.com as “Exciting true-adventure stories of heroic airmen and classic air rescue missions in World Wars I and II, Korea, and Southeast Asia.